Banyana Banyana continue to impress ahead of the World Cup - SABC News - Breaking news, special reports, world, business, sport coverage of all South African current events. Africa's news leader. 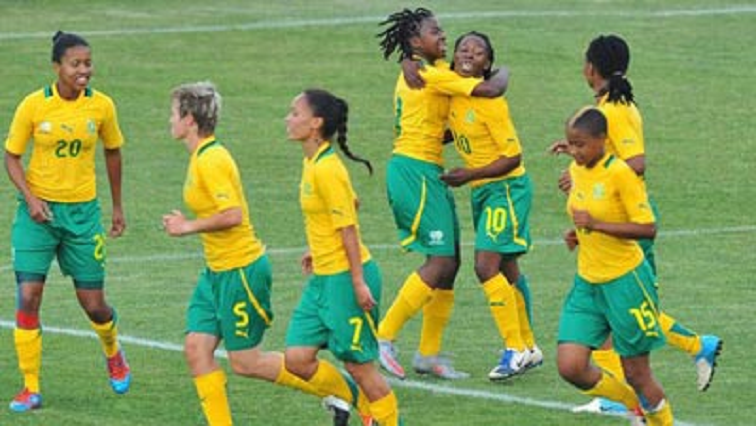 South Africa’s senior women’s football team Banyana Banyana has proved that it belongs in the big league. In a second international friendly in just four days, Banyana played to a goalless draw against the highly rated Sweden at the Cape Town stadium on Tuesday night. The Desiree Ellis-led side is preparing for the FIFA Women’s World Cup that will be staged in France in June. Meanwhile, the only side that’s yet to taste defeat in the league this season Memalodi Sundowns, travelled to Tembisa to face Highlands Park in an ABSA Premiership match. The Brazilians had played just 14 matches before facing the Lions of the North. They capitalised on Highlands Park’s mistakes at the back. Eight minutes later, the Pitso Mosimane-led troops were celebrating their second goal of the match. Lindokuhle Mbatha cut down the deficit with his his goal. But the match finished 2-1 to the 3rd placed Sundowns who are now just three points adrift of the log leaders Bidvest Wits, with three matches in hand. Orlando Pirates came into their match against Baroka, looking to move up and level on points with Wits but Bakgaga had other ideas. In the second half, the Buccaneers introduced three attack-minded players for defensive ones. The gamble paid off as Vincent Pule made it 1-1 with a clinical header with six minutes left on the clock. Pirates are still second on the log with 32 points from 18 matches. Baroka have moved from 14th to 13th place and are on 16 points from their 18 matches. This entry was posted on 23 Jan 2019,10:46AM at 10:46 AM and is filed under Sport, Homepage Latest Stories Slider. You can follow any responses to this entry through the RSS 2.0 feed. Both comments and pings are currently closed.